Remember how I was procrastinating the other day when I was supposed to be photographing my works-in-progress? Well, by the time I got around to it, the weather was so overcast that the lighting just wasn’t working for me, and all my pictures came out too dark and dreary. That’ll teach me to procrastinate! This one is the one I’m most excited about; it’s my first bash at a cardigan/sweater. I’m using a Rowan pattern called “Eddy” from the Cotton Classics book I bought a month or so ago. Morris Yarns recently brought out a new yarn called Norway in 8, 10 and 14 ply in natural tones and 100g balls, and I fell in love with it. It’s reasonably priced, and the colors are so lovely. Also, when I did the spit join when I started my second ball it felted like a dream and I can’t even tell where my join was. So, thumbs up for that. You can find my Ravelry project here. I’m completely obsessed by this pattern and it’s been getting a lot of tram time. This one is another tram project, and I’m really quite enjoying it. It’s no secret that I’m quite the Jared Flood fan boy, and I had seen someone on a Ravelry forum refer to Stephen West as a “poor mans Jared Flood”, and I’d not really paid much more thought to West Knits. 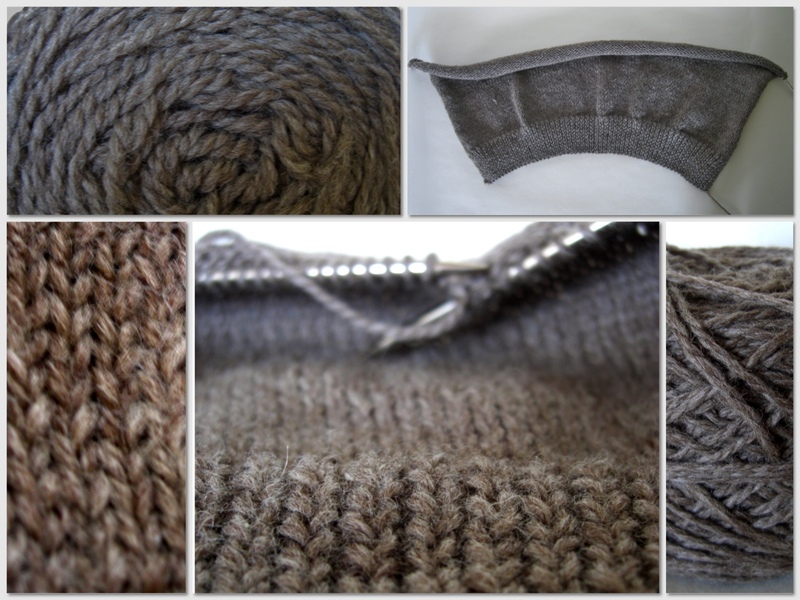 Then, I saw some lovely knits that my friend Kate had made only to find out that they were Stephen West patterns, so I checked out his site and Ravelry page. I can assure you that Stephen West is indeed NOT a poor man’s Jared Flood. In fact, aside from both being men, they have really quite different styles, and I’d definitely recommend checking them both out on their own merits. 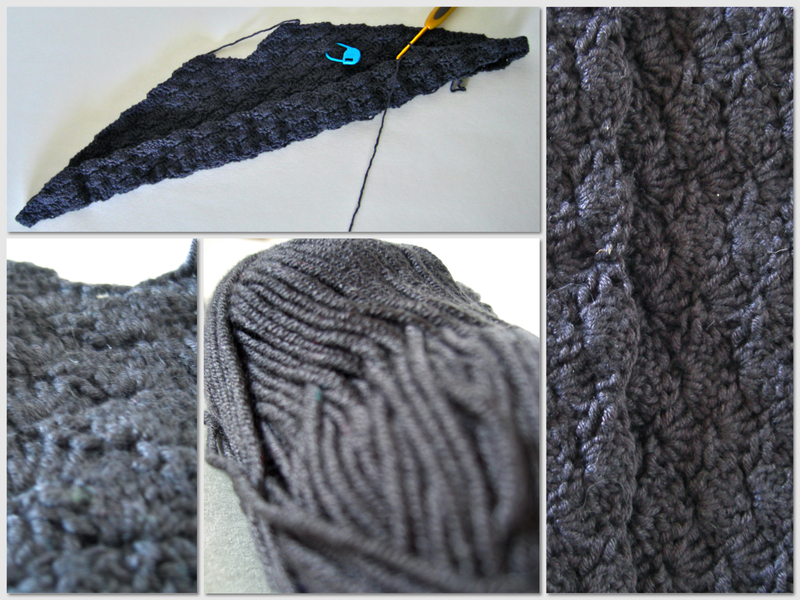 But, anyway, I picked the Boneyard Shawl to do, because it’s quite attractive but also easy to memorize. I’m making it for my Ma, and I’m using Rowan Silky Tweed (which is sadly now discontinued). It’s super nice, so that made me sad. 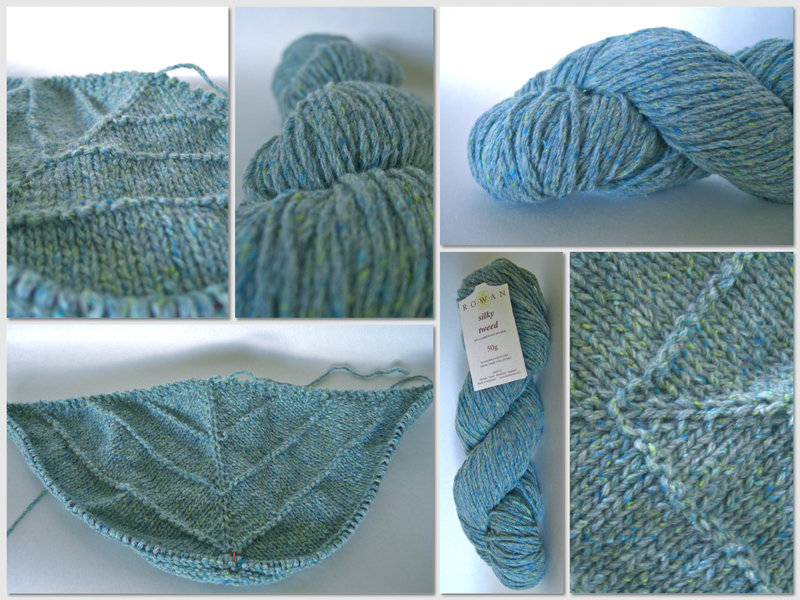 I’ll have to snap up a few more skeins. I’m on my first skein, and I have two waiting to go. 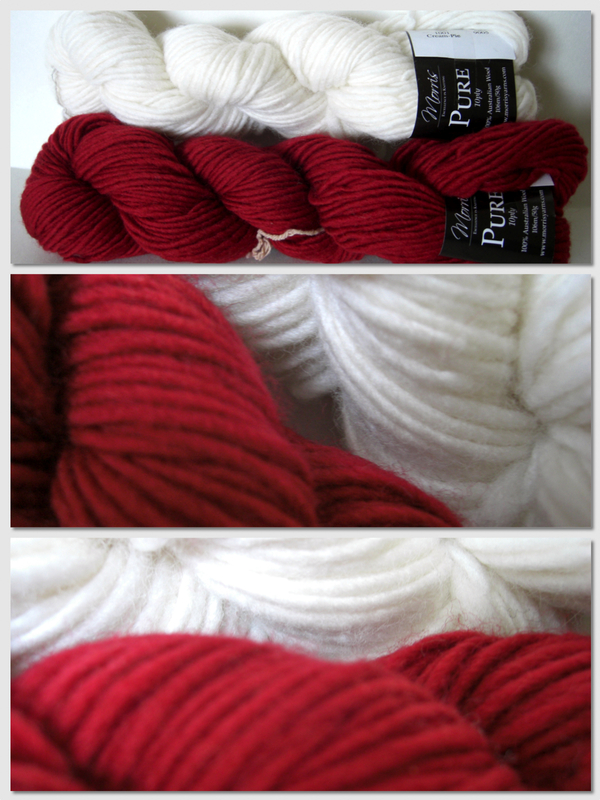 I’ve not looked at the yarn requirements because I’m vague and lazy, but I’m thinking that should be enough. Maybe I’ll buy two more just in case; I can always make amis with the left over. So, this one is quite fun too. My lovely friend Marelle and I are doing a swap; she’s knitting me a sweater and I’m crocheting her a dress. So, she chose this Lace Dress pattern by Lily M. Chin. She also chose some Morris Paddington yarn that she had left over from another project she’d been doing (maybe she frogged it?). It was difficult to photograph, as you can see with the vastly different tones in the collage above. But, it’s a nice dark grey/charcoal-y black called Bow Tie. It still looks a bit abstract at the moment, but the piece in the top left is the beginning of the bodice. I may yet have to rip it out and start again. Usually, if I size up my hook by a half-size (ie. go up from 5mm to a 5.5mm – yeah, I pull those suckers tight) my tension is bang on, but it’s off in really weird ways with this one that I can’t figure it out. Meh. I’m sure I’ll figure it out. And finally, this project is in such early stages that I haven’t even balled the hanks yet! This is some Morris Pure which I’m going to be crocheting into a fox for my friend Jules (who’s beautiful blog you can read here). We’re doing a swap as well, and she’s making me a beautiful color work beanie using some of the Norway colors. I can’t remember the pattern, so I will follow up on that for you. I’m not quite sure how I’m going to go about making this little fox, but that’s half the fun. But enough about me, what are YOU working on? Busy busy! I saw the Morris Norway in the newsletter and it sounds yummy, lovely earthy colours… Your photos are brilliant too! I’ve started (again) on my brown tweed cardigan, every boy librarian should have one. This is the one I made before winter but had a serious gauge miscalculation so had to rip the whole thing out. Fingers crossed this time! Well, hopefully second time will be a charm! Surely it wasn’t that bad though? Ripping out a whole cardy!? Eek! Yeah, Norway is totes nice! And pretty good price too. It’s not as soft as the Estate, but I really like the texture. We’re both taking out time; we’re sort of aiming to be completed by next winter. But, I think this might be finished sooner, because it’s quite fun.